Dimension Data has a new rider for its development team, thanks to a talent search on Zwift. French star Bardet might race debut Giro. Here’s your News roundup for Tuesday, November 20. This is our way of keeping you up to speed on all of the stories circulating in the world of pro cycling. Slovenia’s Martin Lavric will join the Dimension Data Continental development team in 2019 after winning this year’s Zwift Academy challenge. The 19-year-old was one of three finalists joining the Dimension Data WorldTour squad at a team camp in Cape Town, South Africa. Lavric rode with the Continental team Attaque Team Gusto in 2017 and raced in several events this season as a member of the Slovenian national team. Zwift will also place a rider in a women’s pro team in the coming days, as Canyon-SRAM is currently evaluating three Zwift Academy finalists at a training camp. According to L’Equipe, Romain Bardet is considering racing the 2019 Giro d’Italia. The 28-year-old Frenchman, twice a podium finisher at the Tour de France, has never raced the Giro. Six of his seven career grand tour starts have come at his home tour, with one Vuelta a España participation in 2017. L’Equipe reports that he is mulling a possible 2019 debut in the Italian race and that he will decide on his plans at the end of this month. Two and a half years after a crash that left him in a coma, Stig Broeckx is back on his bike. Racing with Lotto Soudal, Broeckx was involved in a pileup at the 2016 Baloise Belgium Tour when two motorcycles collided and then hit a group of riders. He spent six months in a coma. Since regaining consciousness, he has undergone extensive rehab. Now, he’s back on two wheels. Broeckx posted photos of a mountain bike ride to his Instagram account this weekend. 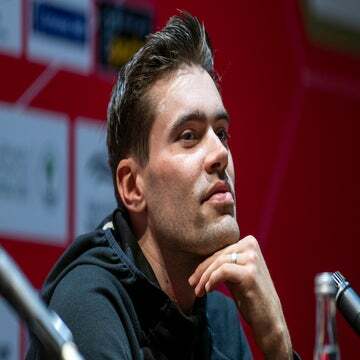 Sunweb’s Tom Dumoulin remains undecided about his participation in the 2019 Tour de France. 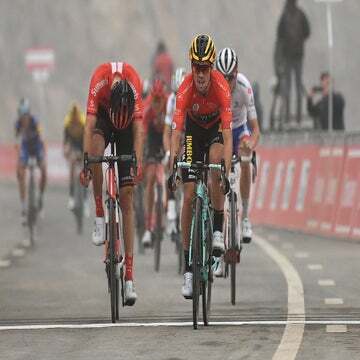 The 28-year-old Dutchman, the runner-up at both the Giro and the Tour this season, hinted last month that he’d like to go the Tour to win, but recently expressed doubt about making the start in an interview with De Telegraaf. With its dearth of time trial mileage, next year’s Tour route is not an ideal one for Dumoulin, the 2017 world champion in the discipline.